« Wanna Little Honey, Sugar? Until last week, I’d have never given Celery Soup a try. I’m not overly fond of the taste – especially raw – but I concede that it definitely enhances the flavour of ministrone and stews. My boyfriend, who was sitting next to me at the time, took a very tiny spoonful and confirmed that it was “edible” (hey, that’s a real compliment in his book). With the bitter winter days and lashings of snow still blizzarding down upon us in southern Germany, soup makes a frequent appearance on the bill of fare in our household at the moment (the fact that it’s a sneaky way of getting my I-survived-perfectly-well-on-schnitzel-and-fries-before-you-came-along boyfriend to get his 5 a day is an added bonus). 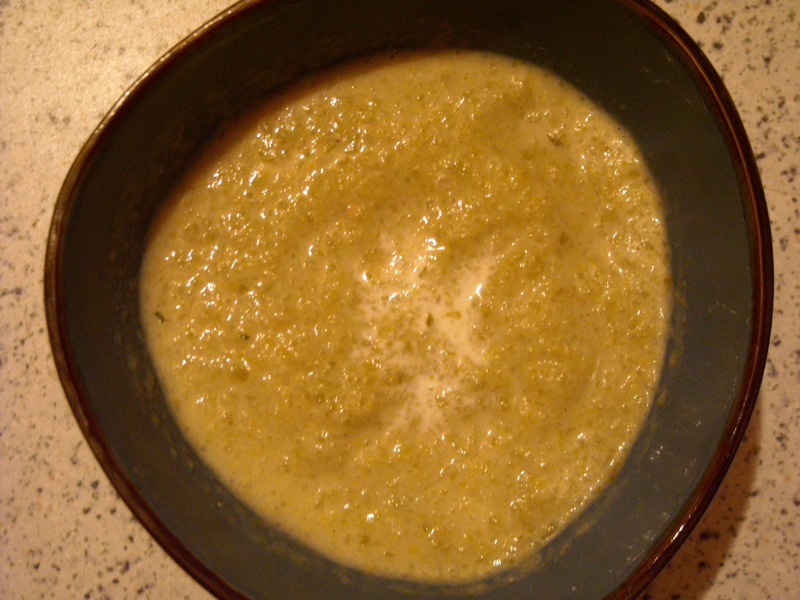 INGREDIENTS – 9 heads of celery, 1 teaspoonful of salt, nutmeg to taste, 1 lump of sugar, 1/2 pint of strong stock, a pint of cream, and 2 quarts of boiling water. 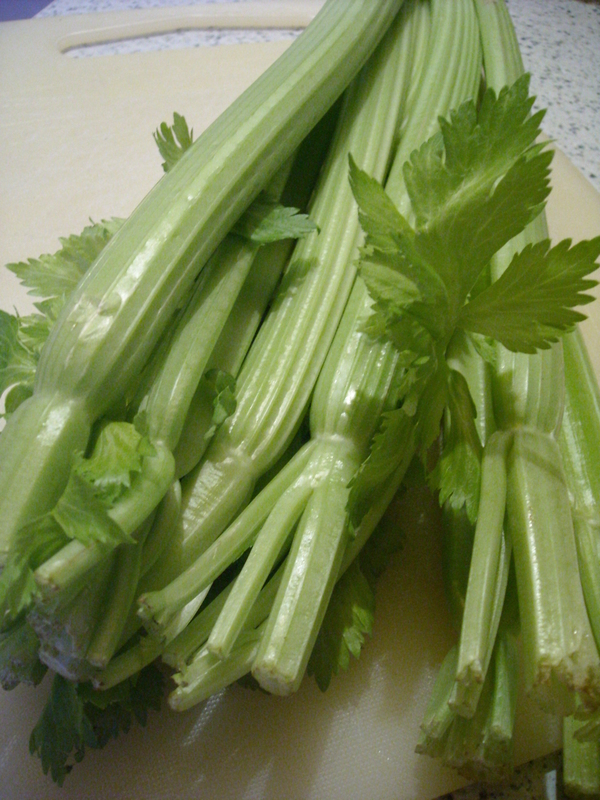 Given that the original recipe is “sufficient for 10 persons”, a lot of celery is required for this little puppy. 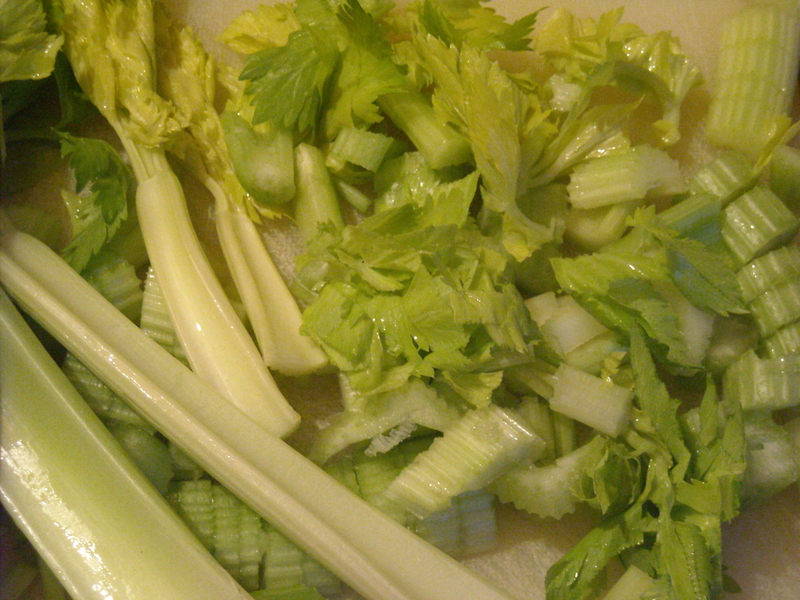 As I only had 1 head of celery and wasn’t even sure if we’d like this version, I decided to divide the quantities by 9. I used my usual stock instead of Mrs Beeton’s stock (generally, I use either my own home-made stock as a by-product of cooking vegetables, or use a dry vegetable stock mix from Alnatura (a fabulous German organic food chain) added to water). I soon sensed that there wasn’t enough water or stock to made the celery tender enough, so I added an extra splash of liquid at each stage as required (water, stock, cream – well, I topped the cream up with low-fat milk just before serving – he’ll never know). “It’s really not bad!” confirmed my somewhat-surprised boyfriend when we took our first spoonful. OK, so you can still clearly taste the celery (it’s Celery Soup, after all) but even I found it quite appealing and hearty. Although the 1/9 quantity of ingredients should have been sufficient for 1 -2 serves, altogether it made 4 medium-sized serves. Perfect – because I’m heading back for more. 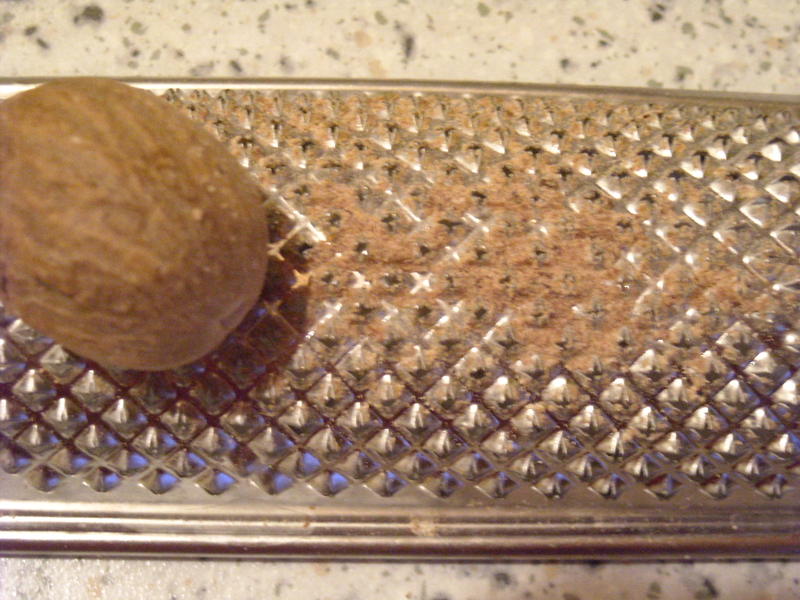 This entry was posted on February 14, 2010 at 8:22 am and is filed under food. You can follow any responses to this entry through the RSS 2.0 feed. You can leave a response, or trackback from your own site.